The Realme 2 is come with the Qualcomm Snapdragon 450 SoC....It's available in two variants - one with 3GB of RAM and 32GB of storage priced at Rs. 8,990...... and the one we reviewed, with 4GB of RAM and 64GB of storage priced at Rs. 10,990. You can expand storage using a microSD card of up to 256GB. One of the biggest USPs of the Realme 2 is its sizeable 4,230mAh battery, which Realme claims is good for 15 hours of video playback, 18 hours of music, or 10 hours of gaming. We'll see if the smartphone lives up to these claims. The Realme 2 runs ColorOS 5.1 on top of Android 8.1 Oreo. Connectivity options include dual 4G VoLTE, single-band 2.4GHz Wi-Fi, Bluetooth 4.2, GPS/ A-GPS, and a 3.5mm headphone jack. The phone supports dual SIMs (Nano) and both can latch onto 4G networks simultaneously. 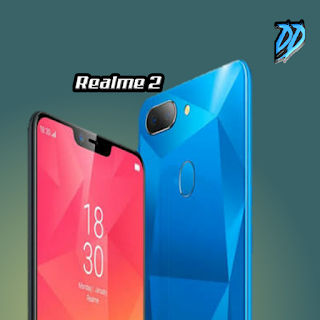 The Realme 2 has a dual-camera setup comprising of a 13-megapixel primary camera with an aperture of f/2.2 and a 2-megapixel secondary camera for depth data. At the front, the phone has an 8-megapixel fixed focus camera with an aperture of f/2.2, and an 85-degree field of view. There is a single-LED flash at the back.